We have an exciting news for you: After taken our clients’ amicable advises into account, Decor8 can customize the Swan Chair and Egg Chair in an endless variety of colors now! These organic, modern classic lounge chairs have an iconic shape making them perfect center points for lobby areas or reception. Undoubtedly, we do have a lot of sales with hotels and enterprises for the Swan Chair and the Egg Chair. Truste me, even though you know nothing about furniture designs, you will still be amazed by their magnificent shapes and appearances. The Swan Chair can be used as an office chair or around a dining table if you have more space. The Swan Chair was a technologically innovative chair – No straight lines and there are only curves. Such elegant contour certainly brings this chair an extraordinary architectural achievement. The Swan Chair is widely used in most high-ended hotels, Grade A office buildings and homes. The shallow seating and curved back offer utmost comfort. If you want to combine comfort with an exclusive design, then this Swan Chair is an ideal masterpiece to your home. The shape and contour of the chair makes it comfortable to sit in for a variety of body types, while the chair’s fabric makes keeping the chair looking like new a breeze. Try to match the Swan Chair with our lovely sofa collection. We strongly suggest you to try out Chester Sofas and Marisa Fabric Sofas which can convey a harmonious commendation with the Swan Chair. Of course, Decor8 also renders sofa version of Swan Collection, including Jacobsen Fabric Swan Style Sofa and Jacobsen Leather Swan Style Sofa. The colour swatches at Decor8 give you numerous choices, you can customise your own style Swan Chair in ordinary colours or even some adventurous exotic colours, umm… let’s say, Scarlet red? Yes, we have this colour too! 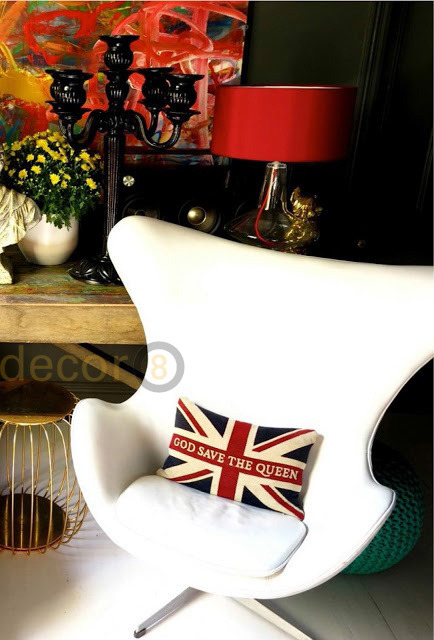 This entry was posted in Dining Chair, Lounge Chairs, Office Chairs, Seating, Side Chairs and tagged bedroom, custom, design, designer chair, egg chair, fabric chair, hong kong chairs, livingroom, modern, modern design, organic, sale, stylish, swan chair, unqiue.